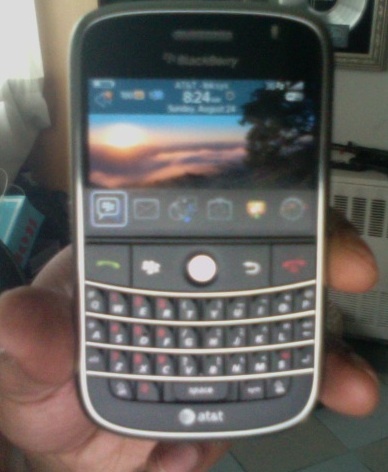 It looks like Super Producer Just Blaze got his hands on an AT&T branded BlackBerry Bold. You’re probably thinking “Oh, So what’s so special about this?” Well, according to RIM CEO Mike Lazaridis, AT&T has delayed the release of the Bold on their network due to testing. So cross out that November date that was in your calenders. Good news is Â AT&T has said it is still scheduled to drop this year. Let’s just hope it doesn’t get delayed again. Next post: Video: Diddy Blog #25 Attention Young America.. Time is Running Out!!! !